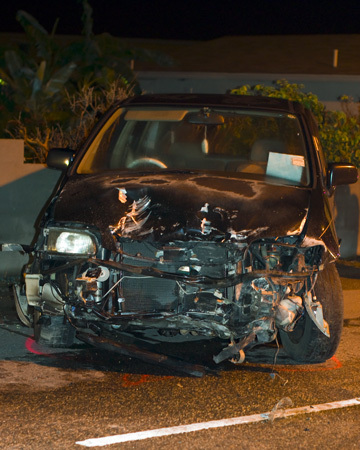 (CNS): With the continued poor standard of driving on Cayman’s roads, especially with people ignoring the new phone bans and the old DUI laws, the RCIPS and Streetskill team are launching a campaign against drunk drivers and people using their cell phones behind the wheel. Since the start of the New Year, Streetskill spokesperson, Chief Inspector Angelique Howell, says that 80 people have been prosecuted for mobile phone use while driving, and 25 arrested for drunk driving. There were 1,245 traffic accidents in 2012, as well as five fatalities and 191 people were arrested for DUI, including the government’s own education minister. “We hope that people will understand that in both cases there are safer alternatives,” said CI Howell. “If you need to use the phone, pull over to the side of the road. If you are going drinking, arrange for a designated driver. These arrangements may seem very simplistic, or even inconvenient, but they could save your life and those of your family and friends." In February the campaign will target drivers using mobile phones by highlighting the risks that they pose to themselves, and in March the campaign switches to preventing drunk driving. This year’s campaign will be delivered primarily through media appearances by Howell and other Streetskill members, as well as through public service announcements and social media. CI Howell said that research in the United States has shown that driving while using a cell phone reduces the amount of brain activity dedicated to driving by more than a third (Carnegie Mellon 2007). Meanwhile, a Yale study in 2004 confirmed that the amount of alcohol that a driver ingests impairs decision-making and increases risk-taking. The Streetskill Team is a sub-committee of the National Road Safety Strategy Committee, a group that includes the National Roads Authority, Department of Vehicle and Driver Licensing, the Public Works Department, the Royal Cayman Islands Police Service and Government Information Services. Since 2006 it has conducted campaigns on the topics of drunk driving and mobile phone use while driving, but also bike and scooter safety, speeding, and road-crossing guidelines for schoolchildren. Anyone who would like to obtain more information about these topics should visit the Streetskill website www.gis.ky/streetskills or send an email to roadsafety@gov.ky. (CNS): As expected, two of the candidates in George Town who say they are running as independents have been endorsed by the advocacy group, Coalition for Cayman. The group released a statement Monday saying that after interviewing a number of candidates for the 22 May General Election, it has offered its public support to Roy McTaggart and Winston Connolly, who are both running in George Town. C4C has said it wants to see honest leaders, free of partisan political ties, elected to office. It has not yet stated, however, if it will expect the candidates it supports to run on a joint team and platform or whether they will be campaigning in competition with each other. McTaggart and Connolly are both running for office in the capital on a similar message, though neither has yet spelt out any specific policies that they support. 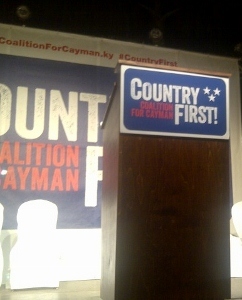 “Roy McTaggart and Winston Connolly will put Country First,” said C4C, pointing to its main requirement for any candidate. It commended the men’s independence from divisive political parties and their commitment to bringing ethical leadership to the LA. “We need more independent MLAs like Roy and Winston who will always do what is right for our Cayman Islands instead of what is best for party leaders,” the coalition stated in the release endorsing its first candidates. Additional endorsements for the Legislative Assembly will be announced in the coming weeks, the coalition stated. With Jackee Haynes and Jude Scott, two of the founding creators of the coalition, having already declared for the capital, they are expected to be the next two to receive the official public nod from the advocacy group. So far, none of the candidates that were expected to run on the C4C ticket in the districts of West Bay or Bodden Town have declared for office. There has been a dearth of declarations for independent candidates in those two districts, where there will be four votes up for grabs and where both political parties are seen as being more entrenched. In West Bay, despite his current difficulties, McKeeva Bush is still expected to not only win his own seat with a wide margin but to carry at least two if not all three of the candidates he selects to run with him. Although both former UDP incumbent members, Rolston Anglin and Cline Glidden, have said they are planning to run again in the district against their former UDP leader, it is not clear how. Neither man is said to be the government member likely to return to the UDP nor are either of the candidates believed to be seeking C4C endorsement. The men may run in some form of a team with at least two of their Cabinet colleagues in other districts or with other potential candidates in West Bay. Meanwhile, the PPM is expected for field four candidates in Bush’s territory. Captain Bryan Ebanks is believed to be joining Woody Da Costa and Ray Farrington, who have already announced their intention to run with the PPM, but a fourth PPM candidate has not yet emerged for the district, which is a UDP stronghold. In Bodden Town the PPM is believed to have a greater support in the district, with the incumbent Anthony Eden expected to be returned alongside his former parliamentary colleague Osbourne Bodden, who was pipped at the post on Election Day in 2009 by a margin of only 38 votes. Long-time behind-the scenes PPM member Wayne Panton and Al Suckoo, another well-known political activist in the district, are both considered to be serious contenders for seats in the fastest growing district. So far, Mark Scotland and Dwayne Seymour are the only other candidates who have publicly signalled their intention to run for re-election in the district and, given the situation regarding the dump move and the connection to the former administration, the two men face an uphill struggle. Meanwhile, the UDP is believed to have selected four new candidates for the district but none of those names have yet been confirmed, with speculation about who they might be changing on a daily basis. 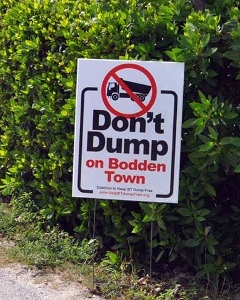 According to local activists in the district campaigning against the proposal to relocate the landfill in Bodden Town, one-time campaign leader Vincent Frederick has told the Coalition to Keep Bodden Town Dump Free that he will now be running for office with the former ruling party in a surprise U-turn regarding his previous opposition to the dump move. However, sources close to the district UDP officials told CNS that his name has not yet appeared on the list of potential candidates for that district. No other independent candidates have yet come out stating their intention to run in Bodden Town, though a number of people who were on the ballot sheet in the last election are expected to be trying their hand again. Although there is considerable speculation that former Cabinet minister Charles Clifford will be running, he has not yet confirmed his intention to do so or on what platform, if any, he will mount his bid for areturn to political office. Nomination Day is just over six weeks away, when the official race for office begins in earnest. George Town, with six seats up for grabs and some 7,500 voters to decide them, is expected to see a significant number of candidates of all political persuasions running to try and represent the capital. As a result, the elections office is gearing up for a potentially long ballot sheet and the introduction of more polling stations or booths to help keep voters moving on election day and to ensure the count, which could see as many as 18,000 people vote, can begin on time. (CNS): Many of the voters who have applied for an ID card for the forthcoming general election will be able to collect those cards at the annual Agricultural Show on Wednesday. The Elections Office will have a special table at the event with some 3000 voter registration cards that have already been printed. Members of the voting public who registered to vote or changed their details prior to 1 October are encouraged to visit the booth to see if their cards are ready. Supervisor of Elections Kearney Gomez said those who registered between 1 October and 29 January will be able to collect their cards at a later date. ( CNS): The United States Citizenship and Immigration Services will permanently close its field office in Kingston, Jamaica, on 1 March. From then on issues relating to immigration services in the region including for the Cayman Islands will be dealt with by the USCIS Field Office in Santo Domingo, in the Dominican Republic. The Kingston Field Office had jurisdiction over Jamaica, Anguilla, Aruba, The Bahamas, Bonaire, British Virgin Islands, Cayman Islands, Curaçao, Montserrat, Turks and Caicos Islands, and Guantanamo Bay Naval Station. After 1 March 2013 applications or petitions previously accepted by the USCIS Kingston Field Office should follow existing procedures for all petitioners residing in countries that have no USCIS offices: Form I-130 must be filed with the USCIS Chicago Lockbox. More filing information is available on the Form I-130 page. “In certain emergency situations, the USCIS Field Office Director with jurisdiction over the country where the petitioner resides may authorize the Department of State to accept the I-130 at a U.S. Embassy or Consulate. 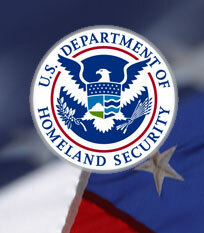 More information is available on the USCIS Centralizes Filing of Form I-130 page,” US immigration officials stated. All other parts of the US Mission, including the Consular Section, Paul Robeson Information Resource Centre, United States Agency for International Development (USAID), Peace Corps offices and the US Consular Agency in Montego Bay, will remain open. (CNS): The member for North Side has said government could be losing as much as $40 million over the West Bay Road swap with Dart and the deal must be stopped until there is transparency and accountability on the details. Ezzard Miller said he does not believe the new government is legally bound by the agreement, which was signed over one year ago, as that document contains a number of clauses that the NRA was not in a lawful position to agree to. In addition, he said, it has not gone through a proper process. Once again, the independent MLA has reiterated his commitment to re-opening the road if he is part of a government after the May election but does not believe the Cabinet’s hands are tied yet. Miller has said that if the government had sold the road, which is crown land, in the proper way at market value, it could have received as much as $40 million, which would be enough for government to reduce the duty on fuel and make the cost of living cheaper for everyone. The outspoken MLA pointed out that, without the proper process and no transparency on the deal, it cannot be allowed to go ahead. He pointed to the failure of government or Dart to reveal the review undertaken by PricewaterhouseCoopers meant to assess if the ForCayman Investment Alliance is a sound deal for the public purse, giving genuine value for money for the tax-payers. Government said Thursday that the road closure was imminent and the deal signed by the former UDP government and the NRA with the Dart group in December 2011 obligated the current government to go ahead with the road closure regardless. Dart is moving quickly on the project, well aware of the opposition to the closure and that the real potential for a change of government in just four months that could undermine the plans it has for a new five-star resort on the site of the former Courtyard Marriott and a new ten storey hotel. However, the developer is hoping to have the road closed well before then, presenting a fait accompli to the next administration. Miller believes that the government is not bound by the NRA deal as it dealt with issues beyond the remit of the NRA Board, including the deal to give dart 50% back on room tax at the new hotel plus duty concessions. The independent member has called on the government to show the questions it sent to legal about this agreement and demonstrate how it is binding. “I do not believe a court of law would find that agreement was binding,” he said. Miller pointed out that the sheer magnitude of the agreement, the limited consultation and the lack of transparency surrounding it alone would ensure the courts would find it now binding. Miller also questioned where the reports are about the impact the change of plans at the site will now have as the resort, which was meant to be a redevelopment of a four story property, has become a new ten storey hotel, increasing the impact on the surrounding area. One of the few MLAs to consistently stand by his opposition to the deal, which he believes is not to the benefit of the local people, Miller promised once again that he will not support any future government that does not agree to keep the road open or moving to re-open it if it is already closed by 23 May. Miller believes there will be no legal issues with that as the agreement was dependent on a favourable finding from the independent review and he believes government must have been attempting to re-balance the deal back in favour of the public over the last eleven months or so since the report was said to have been completed. 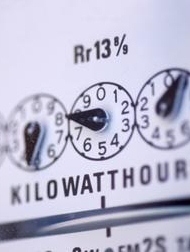 However, as no one has seen the report except for government and Dart, Miller said there is no way for anyone to know if the deal has been negotiated to the point where the public purse enjoys value for money. Miller said, “What we do know is that Dart will receive millions of dollars in concessions and is receiving a strip of beach front real estate worth millions in exchange for funding the cost of a new road,” which, he added, fell far short of the land value. “It is ludicrous that weare giving away millions and millions of dollars to a developer who can well afford to pay at time of intense economic hardship for ordinary Caymanians,” he said. “There are many alternatives that could be looked at to still facilitate the hotel,” Miller added, insisting that this should not be a fait accompli and government could still stop what many people suspect will be an unfair deal. A local attorney and former civil servant, Jacqueline "Jackee" Haynes said she was disheartened by Cayman’s failing economy and deteriorating social conditions. 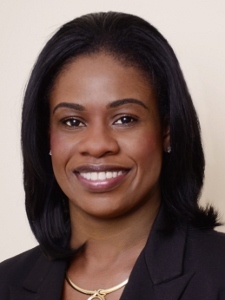 Haynes joined Ogier in 2008 and following her articles of clerkship, was admitted to the Cayman Islands Bar in 2011. 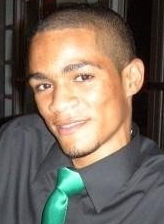 Prior to entering the legal sector, Haynes spent three years as an investment and securities analyst with the Cayman Islands Monetary Authority and eleven years as an officer with the Cayman Islands Customs Department. Whilst with Customs she received extensive specialist training in intelligence analysis and as a result was seconded to the Caribbean’s regional Joint Intelligence Office in Puerto Rico in 2001. There, she worked as a technical implementation officer and travelled throughout the region training officers of the various Customs administrations. It was her experience with the Joint Intelligence Office that highlighted one of the important aspects of her campaign. “Long term crime prevention policies, and proactive and intelligence-led policing, are vital to addressing patterns of criminality. This is one of the areas I would like to see Cayman improve,” Haynes stated in a release declaring her intentions to run for office. Haynes said she, like many other Caymanians, have sat on the side lines watching the country’s demise, hoping that change would come but now, crippled by debt, the economy was in flux with crime and unemployment rising as people suffer with no viable solutions in sight. Acknowledging that Cayman’s problems are many, she said they could be remedied if approached thoughtfully and strategically. “Our policies must take into account current context but also long term considerations. The piecemeal, quick fixes do not work,” she added. (CNS): One of the most vociferous campaigners against moving the George Town dump to Bodden Town has been ousted from the coalition campaigningagainst plans to relocate the landfill following his decision to run for office on the UDP ticket, according to members of the activist group. Vincent Frederick, who ran in the last election as an independent candidate and polled just 4% of the vote, is now believed to be joining the former ruling party, which set up the deal with Dart relocate the landfill close to wetlands in the Bodden Town area. CNS has attempted to contact Frederick about the U-turn, but according to activists he is no longer a member of the campaign. “We consider this incompatible with a leadership role in the Coalition,” said Charles Clifford, the former environment minister in the PPM cabinet who is expected to run for office in the next election as an independent. 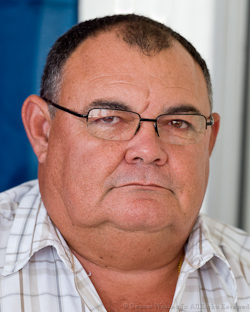 According to Clifford, Frederick has stated that he is still opposed to the dump, even though he is seeking to make his election bid with the party that entered into the deal with the islands’ biggest developer to open a new landfill on property owned by the Dart Group in Midland Acres in exchange for the George Town site, which the group has said it will cap and remediate. Local residents against the move formed an official movement to campaign against the dump move and Frederick, one of the founding members, was scathing about both the UDP district MLAs who supported the dump move. Clifford said he hoped that Frederick would continue as a supporter of the coalition and of the cause, but given the circumstances, he could not continue on as a member of the coalition committee or as a leader or spokesperson. Although the coalition is an independent, single issue, activist group claiming to have no political affiliations, some members may run for office under that single issue banner. Frederick’s decision to run with the UDP, the architects of the Dart deal and the decision to move the dump, is incompatible with the coalition’s goal, regardless of its claims of having no political links. The dump move was a fundamental policy of the former UDP government and the coalition is opposed to the policy — giving it a political persuasion, whether it chooses to acknowledge that or not. The dump move was first announced by the UDP leader and former premier, McKeeva Bush, at the CBO conference in January 2011. That announcement was made just weeks after the public works ministry had announced that the Central Tenders Committee had selected US-based waste-management experts Wheelabrator to begin negotiations with the government over dealing with landfill on-site following a competitive tender. In contrast, all of the PPM members running in the district — Anthony Eden, Osbourne Bodden, Wayne Panton and Al Suckoo — as well as the two eastern district MLAs — Arden McLean (East End) and Ezzard Miller (North Side) — have made it clear they do not support moving the landfill and the issue forms part of all their political campaigns, further illustrating the political nature of the dump move proposition. With the exception of those four PPM candidates, there have been no official declarations by other candidates running in Bodden Town, though there is considerable speculation about who might throw their hat in the political ring. Former UDP members, Dwayne Seymour and Mark Scotland, are expected to make a bid for re-election but it is not clear if the two men will run in a team with their current cabinet colleagues or chose another road to office. Although Scotland has still voiced his support for the dump move, Seymour, who has always appeared less supportive of the move, has made no indication of where he will stand on the issue during his campaign now he is free of the collective party policy of the UDP . Frederick’s decision to join the party that supports moving the dump was confirmed, the coalition group chairman said, when the committee members met on Friday to discuss further plans for the campaign to stop the dump move in the face of the upcoming general election. Frederick, having told the members of his intention to be a BT candidate and most likely with the UDP, was voted off the committee. The campaign has not yet confirmed if either Gregg Anderson, another coalition leader, or Clifford, who is also believed to have plans to make a bid to return to elected office, will be running under the campaign banner. However, Clifford has reiterated his objection to the move and the position of the coalition, stating that it makes no sense for any government to move the George Town dump to an environmentally sensitive area so far from the source of where most of Grand Cayman’s waste is generated. “The problem can be fixed where it is, without contaminating a new site. Every study, up until the point that government and Dart started promoting this harmful idea, has confirmed that the problem can be fixed at the current site in GT,” he said. “Any responsible government would admit that this deal only benefits Dart Realty and the value of its Camana Bay real estate holdings, to the detriment of our country, our district, our people and our environment,” Clifford added. CNS has attempted to contact Frederick and is awaiting a response. For the past four decades Cayman has focused on economic growth and relied on foreign labour to complement the Caymanian labour force whilst assuming that improved living conditions and greater social development and integration would follow automatically. However, it is now apparent to all that economic growth, improved living conditions and social development and integration do not all occur together or at the same pace. Cayman has experienced rapid economic development during this period but social development and integration have struggled to keep pace and living conditions for many have not improved and may now be worse than pre-Hurricane Ivan conditions. The rate of growth alone has been the sole determinant of economic success in Cayman with little regard given to the distribution of income amongst the population, creating the need for government assisted living and leading some to argue that the growth is not inclusive of the majority in the labour force. A quick look at the latest available statistics, the 2011 Labour Force Survey Report, reveals that the overall participation rate in the labour force for the working age population of 15 – 65 and over is 82.8%, whereas, only 75% of the Caymanians of working age participate in the labour force as compared to 91% for non-Caymanians. It is also worth noting that with an overall unemployment rate of 6.3%, which is more than two times the acceptable rate, unemployment for all nationalities in the 15-24 age group at 20.8% is four times greater than most other age groups while the unemployment rate for Caymanians in the same age category is almost three times greater at 32.8% when compared to 11.5% for non-Caymanians. Similar startling statistics also exists for those 65 and over. Therefore, it is imperative that job opportunities commensurate with expectations and abilities are available to the unemployed youth and those over 65 within our population in order to reduce poverty and social tensions. Recognising that the tourism and financial industries require semi to highly skilled labour and there is a significant and growing pool of low and unskilled labour in Cayman, the time has now come for Cayman to give serious consideration to economic diversification and training as a means of providing meaningful employment opportunities and to ensure greater inclusion of Caymanians in the labour force and poverty reduction in the long term. However, having found ourselves in this position with a shift in the global economy resulting in structural unemployment for many and jobs in the two pillar industries not likely to rebound to pre-2009 levels, what should we do in the short and long term? We should give serious consideration to adopting a jobs strategy to assess the social value of jobs and identify what other types of jobs would also assist in sustaining economic growth, contributing to improved living conditions and social development and integration as well as identify constraints to job creation for the 15-24 and over 65 age groups. Such a strategy for Cayman might reveal that we need (i) greater collaboration between the public and private sectors to create employment opportunities for those struggling to find adequate employment, (ii) improve flexibility and fairness in the workplace with increased regulation in certain areas and decreased regulation in other areas, (iii) increased labour force participation and skill development through vocational and academic training across all age groups, (iv) establish permanent part-time jobs for those needing to work and care for children and keeping older workers longer in the workforce by enabling them to work shorter hours and take advantage of job sharing programs, and (v) facilitating a transition from government assisted living to working by encouraging able-bodied welfare recipients to enrol in vocational and academic training programs and by reinforcing the need to pursue gainful employment. It is important to recognise that we did not arrive at this difficult point in time overnight and there are no quick fix solutions. The road back to economic stability and prosperity for Cayman will take prudent financial management on the part of the public sector, greater commitment from the private sector, compassion by those able to assist others and perseverance from those who are struggling. No one has ever succeeded by giving up and we should not. (CNS) A 21-year-old local man has drowned after falling overboard from a private motor board yesterday evening. The police have now confirmed the identity of the young Caymanian whose body was recovered from the water near Booby Quay at around 9:15pm on Sunday as Marco Rankine (left). Police said a search and rescue operation began for the man after the Emergency Communication Centre received a report about him falling over board from the boat in the North Sound at around 7:15pm. Ten boats from RCIPS Marine Unit together with Department of Environment, Fire Department and other private boat operators then launched a search and rescue operation. However, it was more than two hours before the search was able to find the young man, who was taken to hospital by the emergency services but pronounced dead on arrival. Police said they are now investigating the circumstances of the incident.